Large groups of left-wing protesters will try to sabotage Donald Trump’s inauguration by creating blockades and destroying public property, according to recent reports. On the day of the inauguration, which will take place Friday, 20th January, protesters are planning to create a series of human blockades across Washington D.C., where participants will protest against a variety of Trump’s proposed policies, from immigration reform to climate change. “We call on all people of good conscience to join in disrupting the ceremonies. If Trump is to be inaugurated at all, let it happen behind closed doors, showing the true face of the security state Trump will preside over. It must be made clear to the whole world that the vast majority of people in the United States do not support his presidency or consent to his rule,” the group states on the website. 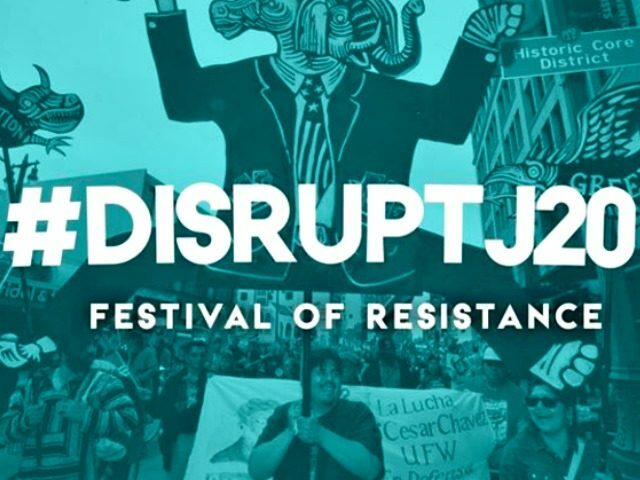 Some of the #DisruptJ20’s planned “events” for the inauguration day include an Anti-Capitalist and Anti-Fascist Bloc, Quockblockade Parade Queer Resistance, Climate Convergence, as well as an Occupy Inauguration. One event will even involve a “gay dance parade” outside vice-president elect Mike Pence’s home, whilst an anti-capitalist protest starting from Logan Circle is likely to involve property damage, according to sources from The Daily Caller. Over 10,000 civil servants are expected to be deployed on the day of the inauguration, including local police and members of the military. Attendees of the inauguration will include Bill and Hillary Clinton, as well as other former U.S presidents including George W. Bush and his father, George H.W. Bush.